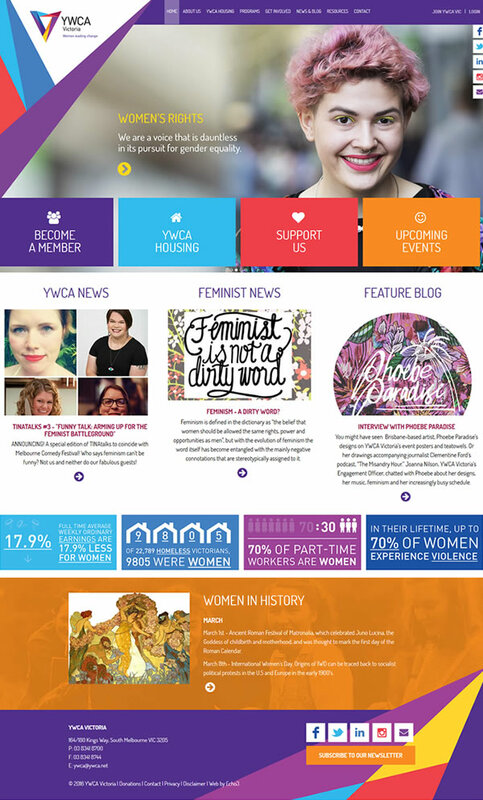 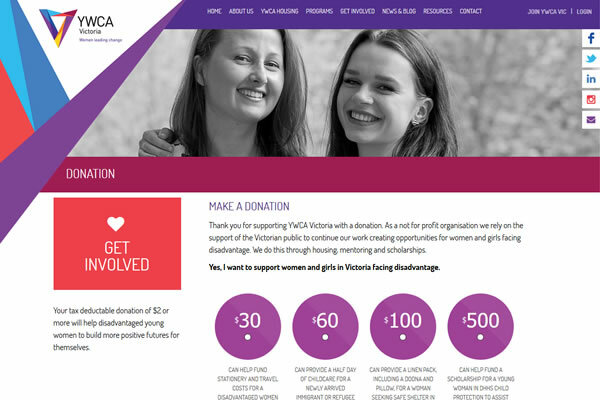 The YWCA Victoria website has had a brilliant update. 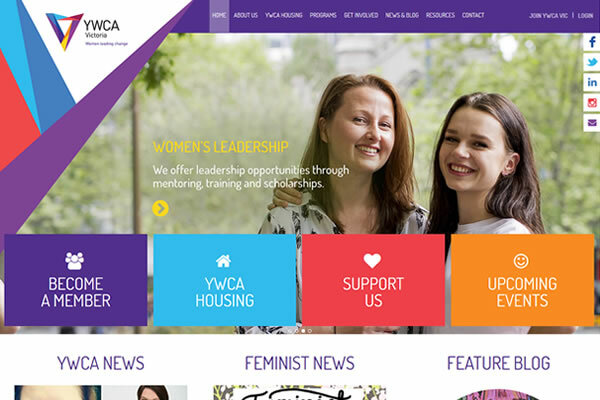 It looks great and is now even easier for users to get involved, donate, and our custom CMS makes it easy for the YWCA team to manage everything. 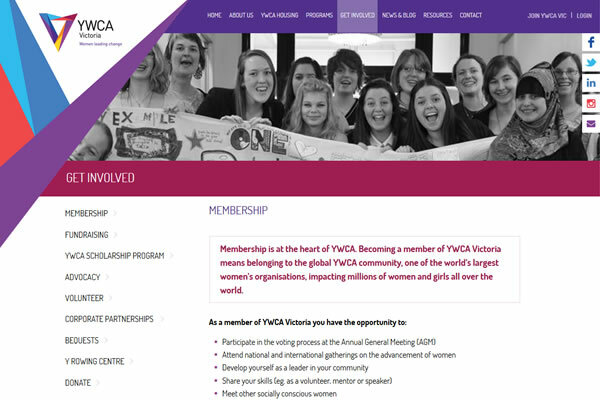 YWCA Victoria is part of the World YWCA, the largest women's organisation in the world and has been engaging with women in Victoria since 1882.